Experience Holmes County, Ohio, where old-world traditions and fine craftsmanship transcend time. The Barn Inn Bed and Breakfast serves as a perfect base for exploring museums, attractions, historic sites, hamlets, cheese, leather, quilt, and wood working shops, farmer's markets, Amish homes, bakeries; and, along the way, view incredible vistas of Amish farmers behind teams of draft horses, fields of wheat shocks, and horse and buggy travel. The innkeeper's share their "Amish life experiences" at breakfast time, brief you on special events taking place that day, will direct you to significant places to visit and help you plan your itinerary. This is a year around destination. View our Events Calendar to learn about unique cultural events, dramas and musicals, village festivals, and Amish school auctions that may be taking place during you stay. Following is a limited listing of many local and regional authentic cultural points of interest and mileages from The Barn Inn Bed and Breakfast. With so many things to do and see, as well as places to go, there's sure to be something fun for everyone. Let us be your tourism guide so you know all the hot spots in the area. Every State highway throughout Holmes County has received the distinctive State and Federal scenic designation of Amish Country Byway. Check our other page, Amish Business Directory, for a partial listing of Amish-owned businesses conveniently located near the inn that do not have websites. Businesses listed below that are Amish owned are marked ABD and their information is on the Amish Business Directory page. Tour two homes, guides explain culture and lifestyle, buggy rides, school house tour, May-Oct 31, Mon-Sat 10am– 5. Open Memorial Day, July 4, & Labor Day. Men’s, ladies’, and kid’s shoes and apparel. Work, western, hiking and more! Hours: Mon & Tues 7:30am-5pm. Wed & Fri 7:30am-7pm. Thurs & Sat 7:30am-3pm. A fifth-generation carver of Swiss heritage, is continuing his family’s carving legacy in the center of Ohio’s beautiful Amish country. The carvings created by Warther depict the “History of the Ship” from 1st Dynasty Egypt, 3000 B.C. to the present day, and collectively form an artistic and highly educational exhibit. With over 80 major works in the collection, David carves daily in his on-site workshop to add to this unique and amazing display. Open 9am-5pm Monday – Saturday. Closed Sundays and July 4th. A working Amish farm and exotic animal park located close to Walnut Creek. April - October, Monday – Saturday, 9am until one hour before sunset. Seasonal. Home of the Original Baby Swiss. Watch cheese being made, cuckoo clocks, Swiss building surrounded by flowers, nestled in the hills of Doughty Valley. No smoking. Handicap accessible. Summer hours: Mon-Sat 8am-6pm, Sun 11am-4pm. winter hours: Mon-Sat 8am-5pm. Open Sundays. Free Factory Tours. Sample up to 50 cheeses; view cheese making. 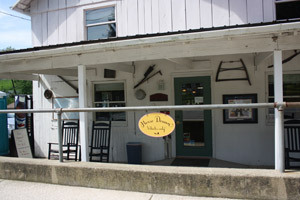 Amish foods, smoked meats, homemade fudge, custom gift packages. Home of the original Yogurt Cheese. Free parking: buses / RVs welcome. Jan-April Mon-Sat 8am-5pm, May-Dec Mon-Sat 8am-6pm. Closed Sunday. Mar - Aug & Nov-Dec: Thu-Sat 9am-5pm; Sept 24-Oct 19: Tues.-Sat. 9am-5pm. New location of the original flea market on the east edge of Berlin, Many vendors, antiques, quilts, fresh meats and cheeses, etc. Opens March 5! Located between Berlin and Walnut Creek. Offering primitive home accessories. Open Monday-Saturday 10am-5pm. Call for extended hours in the summer and fall or for special events. in Sugarcreek, 16.3 mi., Recognized as the oldest home in Sugarcreek, open Friday and Saturday 12-5 p.m. The ultimate clothing boutique located in downtown Berlin. 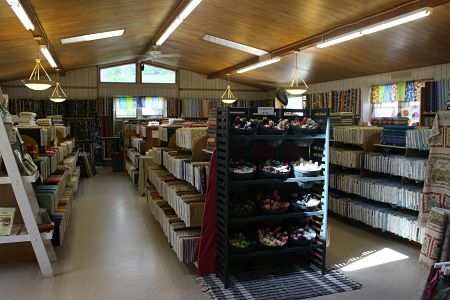 They offer clothing for both men and women and sell one-of-a-kind furniture pieces. The Mt. Hope auction hosts a variety of different sales throughout the year. Its weekly livestock and produce auctions sell a range of stock and farm supplies. They have flea market inside building. The auction also holds several periodic sales. Dutch barn restored into 25,000 square ft. of gifts, furniture, Christmas shop, Williamsburg shop, 18th Century decorating and gourmet lunch restaurant. 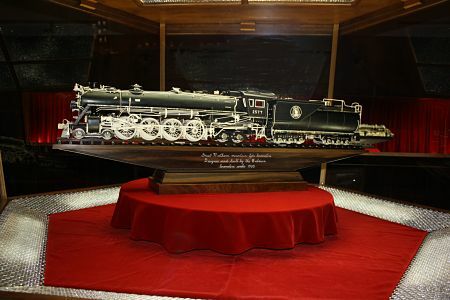 Offering inspirational inscription carved into wood by laser technology. Also, hardwood furniture, plaques, decorative accessories, etc. The largest selection of Polish pottery in North Ohio. (across from 1876 Salon), West Jackson St. 10am–4pm. 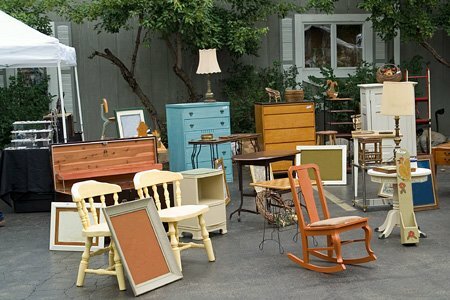 Lots of antiques and collectibles specializing in Victorian, country and primitive. Also has great folk art accessories and accents to compliment the antiques! Lots of nooks and crannies to explore! Ask about their furniture in the rough! Located 2 1/2 miles south of Winesburg, established in 1888. Through the years the store has evolved from a grocery store to a picker’s haven. Anything from old tools, glassware, and antiques to a turn of a century Flatwall Cupboard. This store has something for everyone. Come and meet the owner Gwen Wendling, enjoy the vast knowledge and heritage she brings to the area. So, if picking is your thing, this is a must stop. Handcrafted, hand-hammered metal giftware. Jan-Mar: Mon-Sat 9am-5pm; Apr-Dec Mon-Sat 9am-6pm. Closed Sundays. 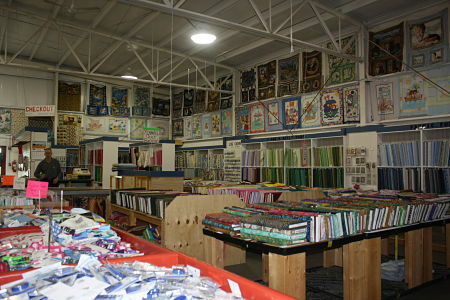 Family owned retail and wholesale fabric and textile store. Located just outside of Berlin going towards Walnut Creek. 42.5 mi., Check out the artifacts and history of the first settlement in Ohio back in 1772. 3.4 mi., Featuring exhibits of glass produced in the early 1900's. A restored 1830’s canal town, with festivals & special events some weekends throughout year. Check website for seasonal hours. Only shops open in off season. 2.7 mi., 18-hole course featuring well-maintained greens and fairways suited to golfers of all levels. Check with The Barn Inn for a discount coupon. 13.5 mi., Custom cabinetry in all styles and finishes. 10.9 mi., Custom styles and designs welcome. 8.7 mi., Oak, cherry, hickory, and maple furniture. 11.4 mi., Hardwood, heirloom furniture built by Amish craftsmen. 8.2 mi., Hardwood, upholstered, and leather furniture and accessories. 8.8 mi., Locally made dining sets, bedroom furniture, entertainment centers, and more. 18.2 mi., Customized furniture, upholstery, and patio collections. weaverfurniture.com"
9.9 mi., Bulk foods, meats, cheeses baking supplies, and more! 5.9 mi., Homemade breads, pies, noodles, and other wonderful things. 5.5 mi., Home of "Genuine Trail Bologna" with an old fashioned general store. 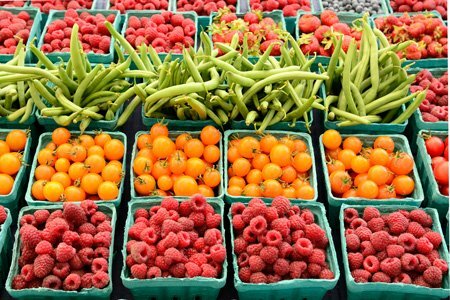 12 mi., offering pesticide and chemical free meats, fruits, and vegetables. www.wholesomevalleyfarm.net. Located in Historic Downtown Millersburg. Creates a friendly, neighborhood pub atmosphere. Featuring daily specials, homemade burgers, and savory steaks. Visit website (www.bagspub.com) for a full menu. Open Mon-Thurs 11am-9pm, Fri-Sat 11am-10pm, Sun 12pm-9pm. 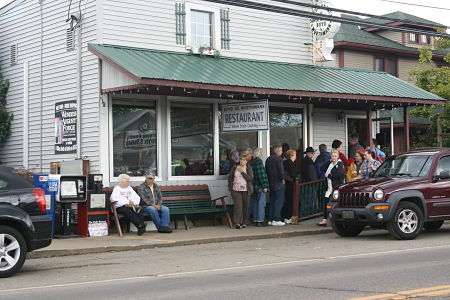 Where the locals eat; cooking since 1938 offering home-style daily specials. 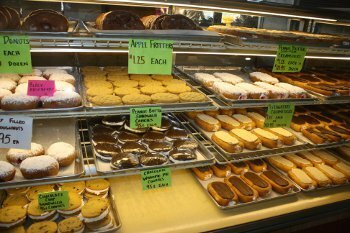 They feature a variety of homemade pies and desserts. Have dinner in Switzerland today! 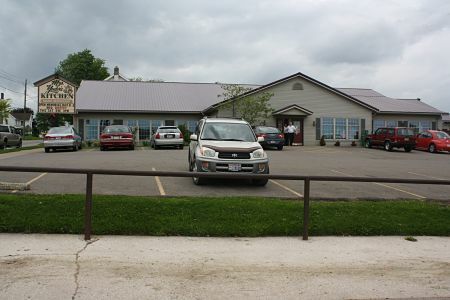 The Chalet features schnitzel, strudel, and numerous other European dishes along with traditional Amish favorites and an unmatched view of Amish Country. Open March-December Tues-Sat 11am-8pm, Sun 11am-3pm. Closed January-March. Select from menu, large salad bar, buffet, or family style. Banquet facilities available for up to 450. Large bakery. Open Mon-Sat 7am-8pm; Bakery opens 6am. 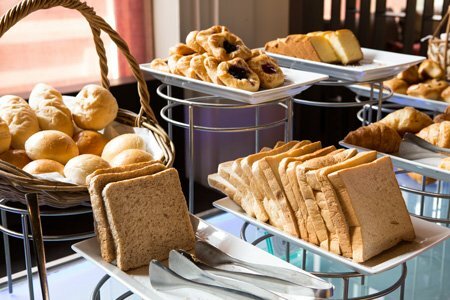 Featuring Amish-style cooking, select from menu, buffet or daily specials. Banquet facilities available. Homemade pies, dinner rolls, and desserts. 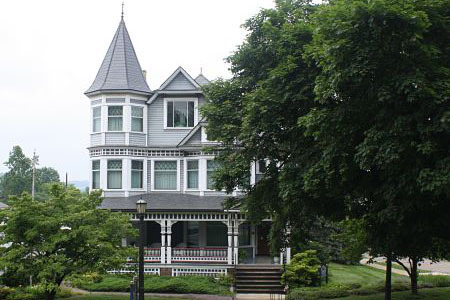 Historic Hotel Millersburg offers 3 banquet rooms, a casual dining restaurant and tavern. Lunch and dinner served Monday through Saturday. Open Sunday for lunch. Large groups and buses welcome! Enjoy award winning cuisine, prepared by the highly decorated Chef Scott Fetty and his team. The restaurant is exquisitely designed with large windows overlooking the Inn’s ravine, and includes a spectacular tree top view, with the Honey Run Creek gently rolling through. Delicious home-style meals and desserts. Featuring salad bar, wedding steak, date nut pudding. Country breakfast buffet Wed and Sat mornings. Also dinner buffet available every Sat all day. 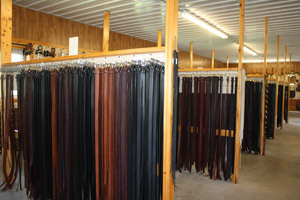 Open Mar-Dec Mon-Sat 7am-8pm; Jan-Feb Mon-Sat 7am-7pm. Closed Sundays.